Agencies need to always be one step ahead of the game in order to survive in the fast-paced business world. Organisation is key, and getting bogged down in lengthy administrative tasks, can end up bleeding time and money from your agency. 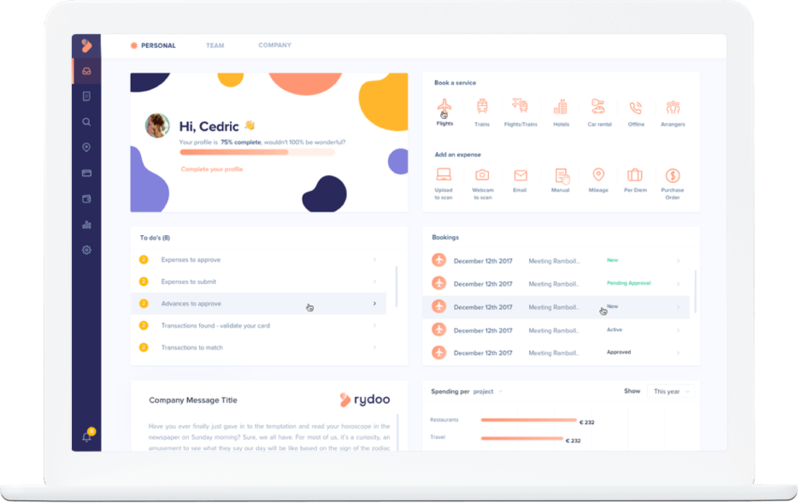 At Rydoo, we believe that it should be easy and intuitive to process administrative tasks like expense reports and travel management. Our fully automated system enables employees to easily process dinner receipts or petrol costs with a click of a button, and they can even keep track in real time with our app. Whether your agency is growing or already established, Rydoo can help. It takes just minutes to get started and within a few days, your employees will wonder how they ever managed without it. Fully compatible with Slack, Dropbox and other essential apps and software, we’ve designed Rydoo to seamlessly connect with your existing ways of working. Want to find out more about how Rydoo can help your agency? Try our 14-day free trial or get in touch.